Dance Hip-Hop Like You Have Been Doing It For Years! There Isn’t Any Better Free Video Series In Existence! Each Video Shows You One Combination with Full Step-by-Step Instructions that Anyone Can Follow!! Video Links Straight to Your Inbox – Free! You Will Also Receive the Hip-Hip-Dance.net eNewsletter! 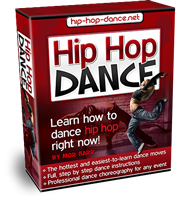 Claim Your FREE ACCESS to the Hip-Hop Beginner’s Workshop – 1 Week to Dance Hip-Hop Like a PRO! SPAM-FREE Zone:Your Email Will Never Be Sold or Shared! Fill in the form now to begin learning immediately in the privacy of your own home, office, dorm room, or wherever you may be! © Copyright Hip Hop Dance 2019. All rights reserved.